Delegates to the organizational meeting of the National Association of Free Will Baptists met at Cofer’s Chapel, in Nashville, Tennessee, November 5-7, 1935. Although these denominational pioneers met for only three days, they conducted an impressive slate of business, putting aside previous differences to lay an organizational foundation that would stand for decades to come. The voting body included representatives from a number of existing Free Will Baptists organizations, including the Eastern General Conference, the Cooperative General Association of the West, six state conventions, and 14 local associations. Officers were carefully selected to represent both East and West. They included Moderator J.L. Welch from the General Conference; Assistant Moderator Winford Davis from the Cooperative Association; Secretary-Treasurer I.J. Blackwelder from the General Conference; and Assistant Secretary-Treasurer B.P.F. Rogers from the Cooperative Association. erve five-year terms. The boards, most of which remain in existence, included the Executive Board, Foreign Missions, Home Missions, Sunday School, Free Will Baptist League, Education, Superannuation, and Women’s Auxiliary. The National Association, it was decided, would meet every three years to hear reports on the activities of each board. In addition, delegates adopted a Treatise of Faith and Practices, approving the document by unanimous vote without even hearing it read aloud, following a motion to that affect by Rev. Lizzie McAdams. Damon Dodd captured the pivotal moment in his book, The Free Will Baptist Story. The motion was met with an immediate second, and the vote was overwhelmingly unanimous. 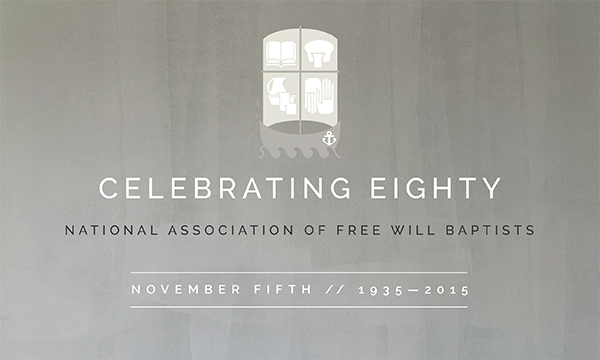 This meant that the National Association of Free Will Baptists was now an official reality, that, at last, Free Will Baptists were united in a common cause. The entire congregation was caught up in the spirit of the momentous occasion. Strong men embraced each other and wept tears of joy and victory. The shouts of rejoicing Christians were lifted in praise to God. A new chapter in the Free Will Baptist story had begun.